Despite the rise in entrepreneurs and young professionals creating their own personal websites and LinkedIn profiles to help create a network for work and business, a lot of people still also take advantage of the decades-old tradition of using visiting cards. If you are interested in how to create your own visiting card or if you are just curious as to what visiting cards are, you are on the right corner of the internet. In this article, we will provide you with more information about visiting cards and how you can use one to help you and your business succeed professionally. In addition, we will also provide multiple examples of visiting card templates that you can use to make your own personal card. Check them out below. As we have promised, embedded below are a few of the different visiting card templates that anybody may use for themselves or their respective businesses. Note that most of these templates are available either as Adobe Photoshop or Illustrator template files and, therefore, will only work when opened or edited using a compatible graphic design software program. What is a Visiting Card? A visiting card is more commonly known as a business card or calling card in the United States and the rest of the world. The term visiting card is preferred in the United Kingdom since these printed cards are usually given by a person who visits other people (usually prospective clients or customers) for business or for work. 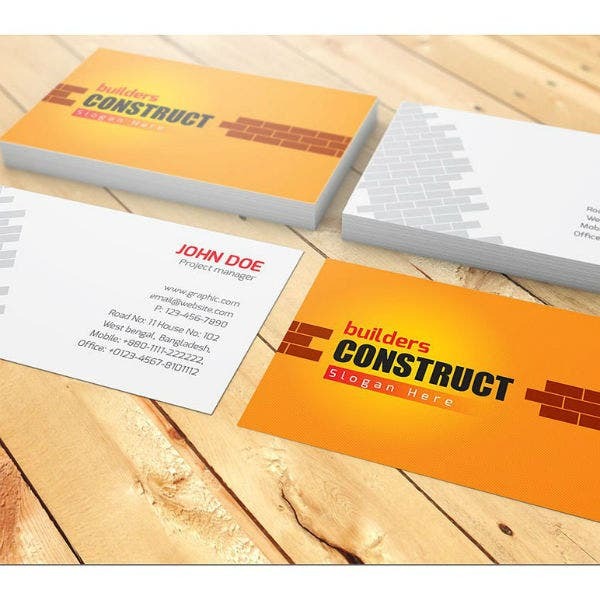 Visiting cards and business cards are small pieces of paper or cardstock (usually measuring 2 inches by 1 inch) that contains a person’s name, a business logo, company name, affiliated company, and contact information. 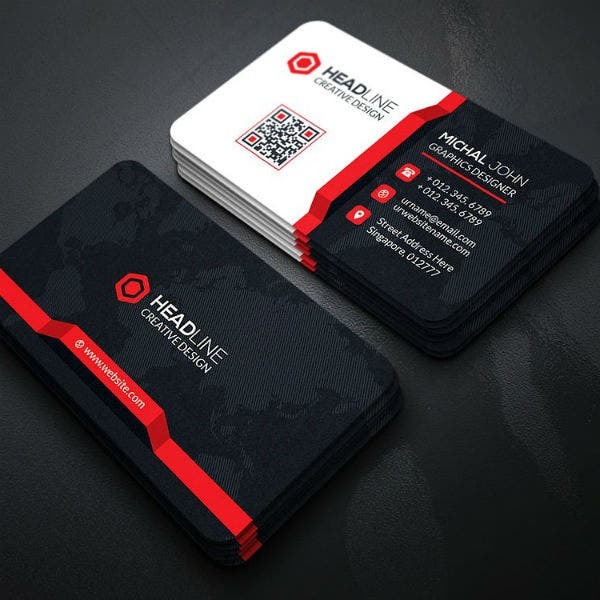 In modern times, visiting cards will also sport creative and attention-grabbing designs to make the card more memorable for customers and clients. Creating a visiting card can be done in two main ways. 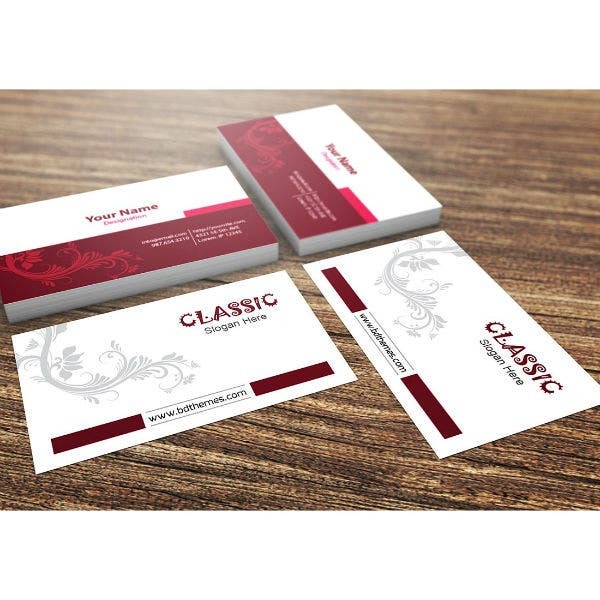 The first method is by using handmade card designs and the second method is by using pre-formatted business card templates. The use of handmade card designs in creating your visiting card is more labor-intensive since it requires that you personally handcraft each visiting card. This card-making approach does create a good impact on customers and clients. However, it is just not feasible if you want to create a lot of these cards in one sitting. But if you have all the time and the budget, then why not? Handmade visiting cards do make the most memorable business cards. 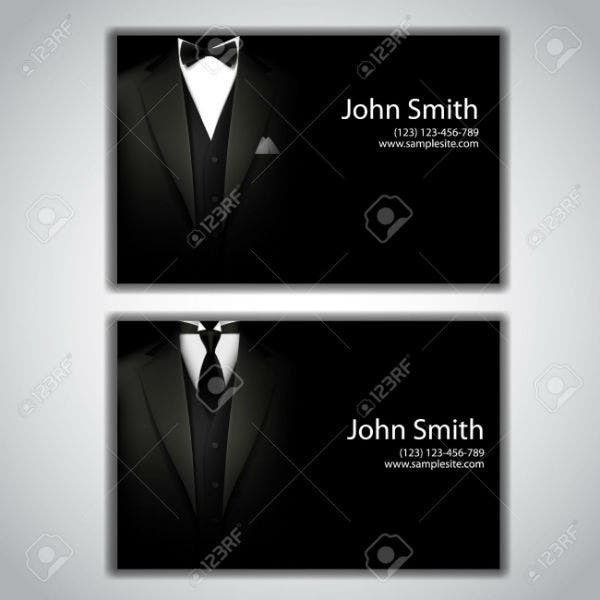 On the other hand, the use of pre-made printable visiting card templates is preferred if you have limited time and if you do not want to deal with the nitty-gritty work of creating a printed business card. 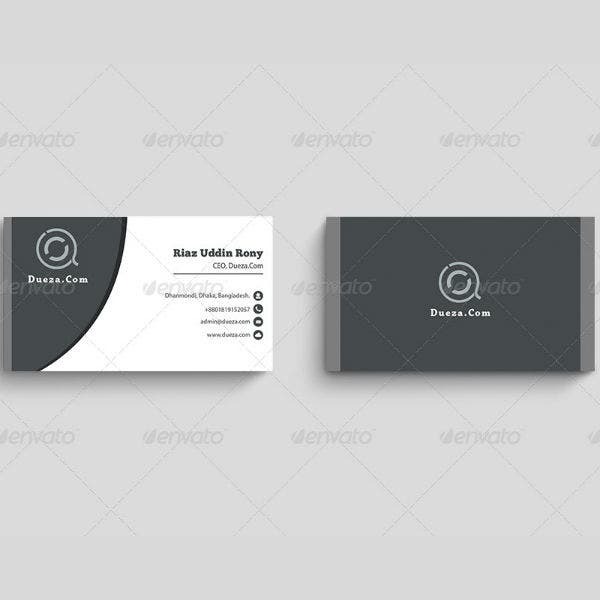 Visiting card templates will contain built-in graphic design elements that will make it unnecessary for the template end-users to design a visiting card on their own. And since these printable visiting card templates already have built-in design elements, they can be printed almost right away too. 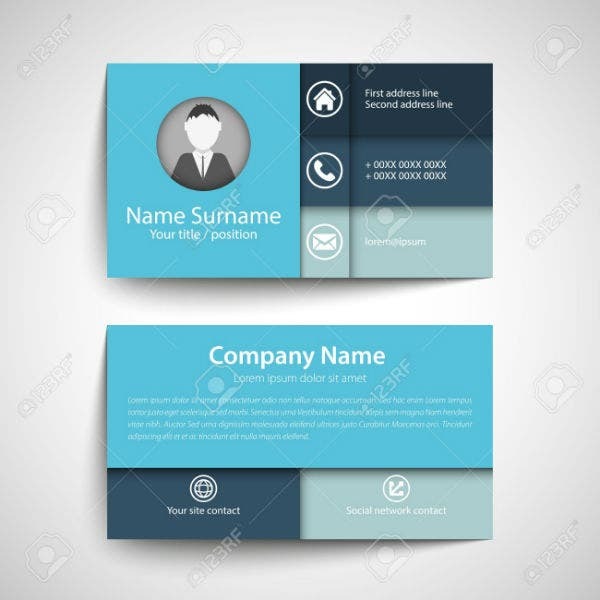 The major downside of using these pre-made visiting card templates is if you do not know how to use graphic design software tools. Remember that these are digital templates so you need to have a little knowledge on editing if you want to add your personal details on the card template. A solution to this issue is to have another person make the template edits for you if you do not know your way around any graphic design software program. So if you are interested in creating a visiting card using printable card templates, make sure to browse until the end of this article as it is filled with more well-design visiting card templates that you can use. 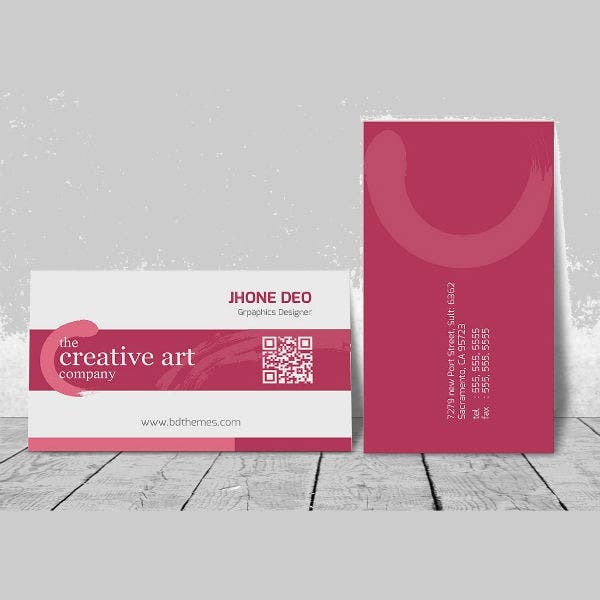 Choosing your visiting card or business card design and what goes into the actual card itself is an important task especially if you want to make sure that it perfectly aligns to what you and/or your business stands for. And to help make this selection task easier, we have enumerated the top factors that you should take into consideration when you select a visiting card template. 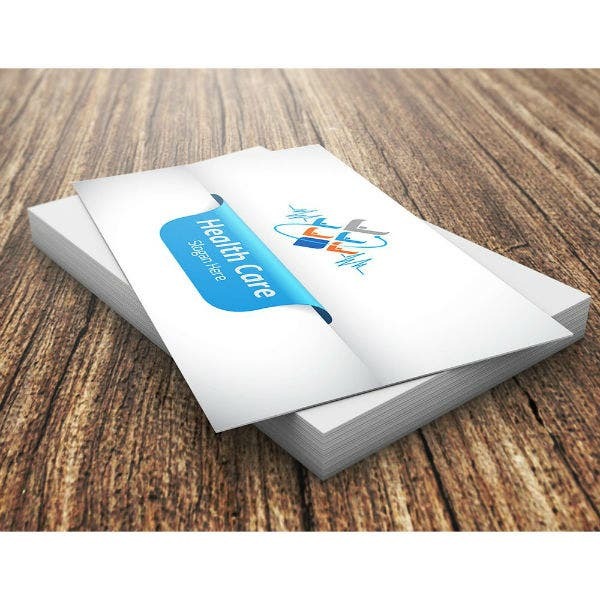 The first factor to consider prior to buying any kind of visiting card template is the customizability of the printable template that you have chosen. It is important to take note of the card template’s built-in editing options. To illustrate, you need to determine if a card template may be changed according to your personal preferences. 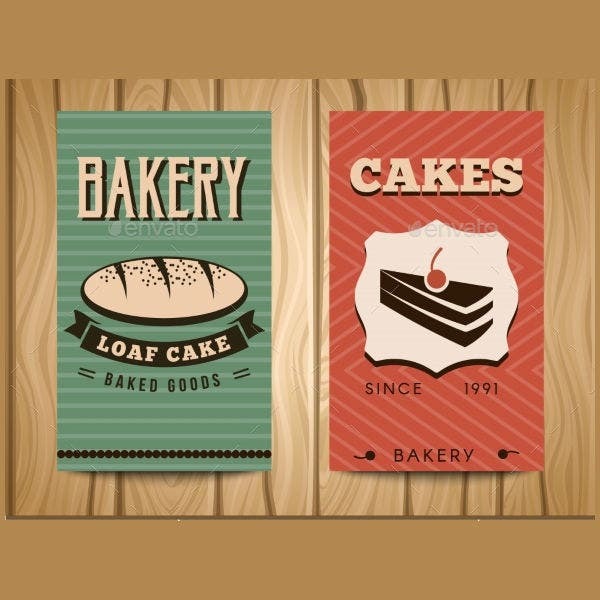 Card templates created using Adobe Photoshop, Illustrator, or InDesign often allows its end-users to make as many changes on the base card template as possible. So make sure to use card templates that are created using these software programs. On the other hand, if you are delegating the editing task to another person, it is best to ask the editor if he or she has a preferred software program to use when editing. This way your editor will have an easier time customizing the visiting card template for you. You can also read name card templates. Another important aspect to keep in mind when choosing between different visiting card templates is your budget. You need to assess beforehand if you or your business have all the funds to cover the cost of purchasing a visiting card template and then printing them out. This is important to know so that you will know what to expect in terms of the quality of your visiting cards. 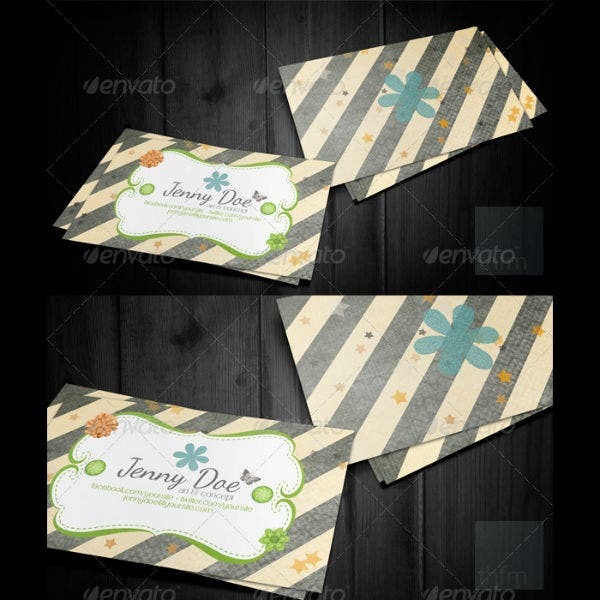 You can also like invitation card templates. 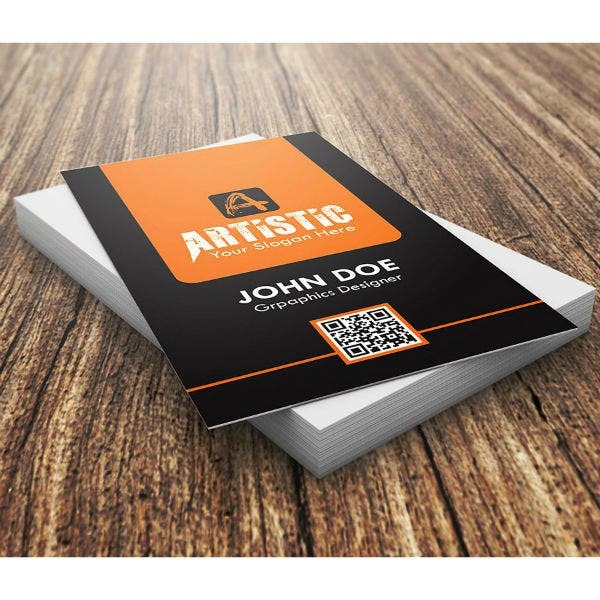 If, for example, your business is on austerity measures, you may need to choose a more affordable visiting card template and also choose a more affordable printing option. This way you will have more printed visiting cards and despite having a less luxurious looking visiting card. For more information on how to create a budget plan, check out the linked article. Adjust your printing and template preferences according to your budget allocation. This way you will have less stressful time in planning the look of your visiting cards. You can also check out student card templates. 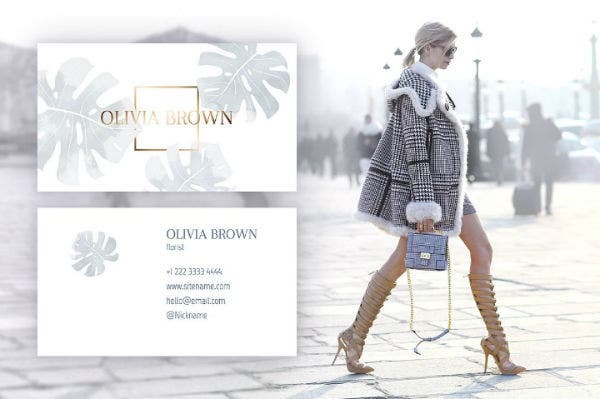 The next factor to consider before you pick out a visiting card template is the amount of time you have to complete that specific business card creation project. If you are given more than six months, for example, you will have more time to learn how to edit by studying different Adobe Photoshop or Illustrator tutorials. You can then apply what you have learned into the customization of your visiting card templates. 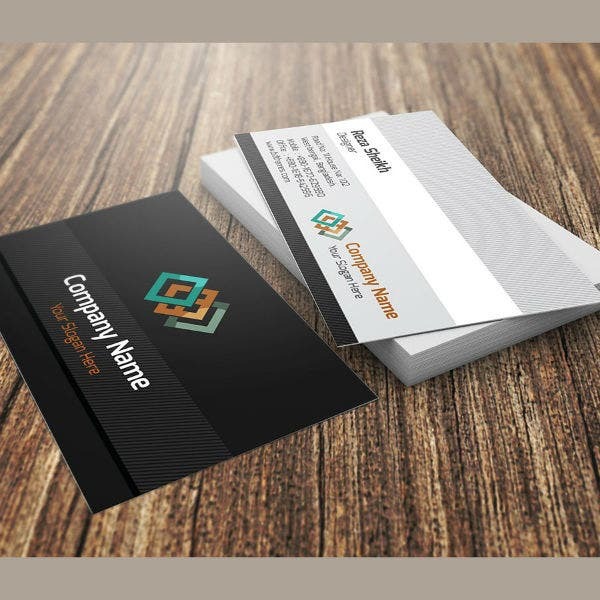 However, if you only have limited time to complete the creation of your visiting cards, you may just have to resort to using those ready to print business card templates. Another important factor to remember when selecting a visiting card template is your own graphic design capabilities. You need to be mindful of your own editing skills because these skills will be needed in customizing the visiting card template of your choice. You can also read greeting card templates. Be truthful with yourself as to how much you really know about editing these pre-made card templates. Because if you do not really know that much about graphic design, it may just be best to assign another person to do the edits. This way you will not come to regret the visiting card design that you will get in the end. The last factor that should be considered when picking out a visiting card template is your preferred printing format. This means that you need to factor in the type of paper to use and how you want your visiting card to look like when it is finally printed out. You can also read printable flash card templates. Know that there are different kinds of printing a graphic design template and each of these printing formats or style will incur a cost. The more luxurious the mode of printing, the higher it will cost. 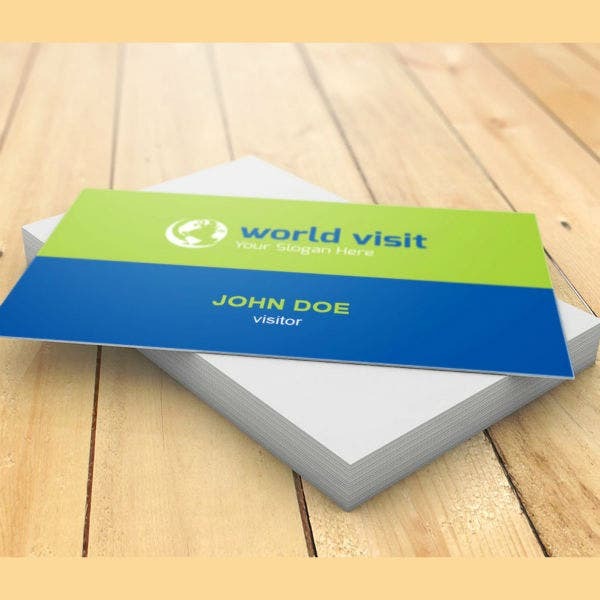 So before you choose a visiting card template, you need to carefully think about the card template’s suitability with the printing format, paper type, and quantity of business cards that you want. Sometimes, the total cost of these things will detract some people. Other times, the unsuitability of a certain card template with a preferred printing format will cause the project to be canceled. 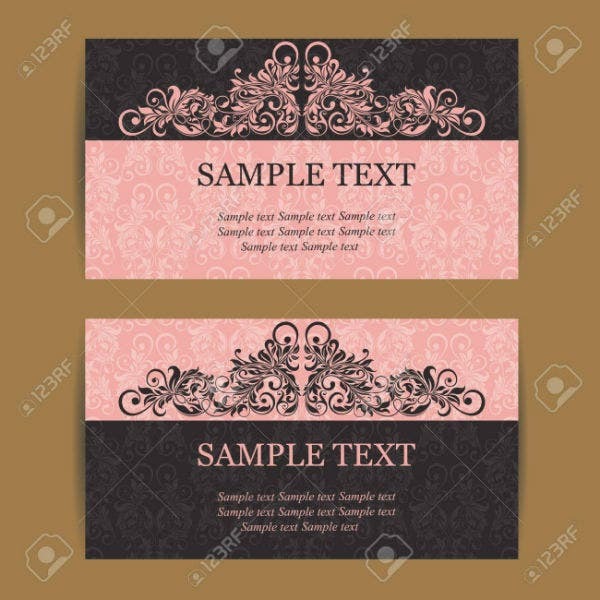 You may also like sample photo card templates. Think carefully about what you like and how it will affect the final product output. In addition, combine all the other factors that we have shared in this list and you can then make a better decision when it comes to what specific visiting card template to use. You may also read recipe card templates. What Visiting Card Template Did You Choose? In the professional and business world, a positive image is very important. It may take a lot of time and experimentation to find out what you or your business image or branding identity is but what is important is that you make sure that this image is translated well on printed form. Your visiting card design should memorably showcase this image in order to attract as much customers and clients as you want. And to do this, you have a carefully curated list to choose from in this article. 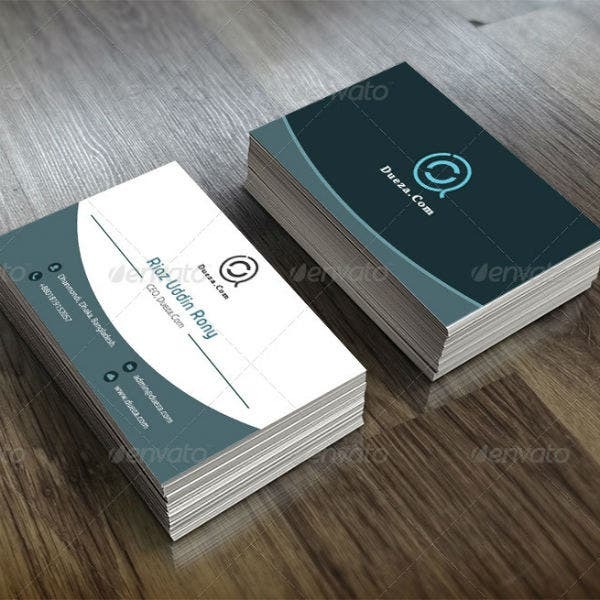 If you do not find something that suits your brand image or personal preferences, feel free to check out the rest of our website for other printable business card templates that you can use!